This Denver NC waterfront home on Lake Norman boasts a two story stone terrace with retractable outdoor television, stone veneer, stamped concrete, wrought iron spiral staircase, custom stone firepit and integrated lighting. Perfect for entertaining! 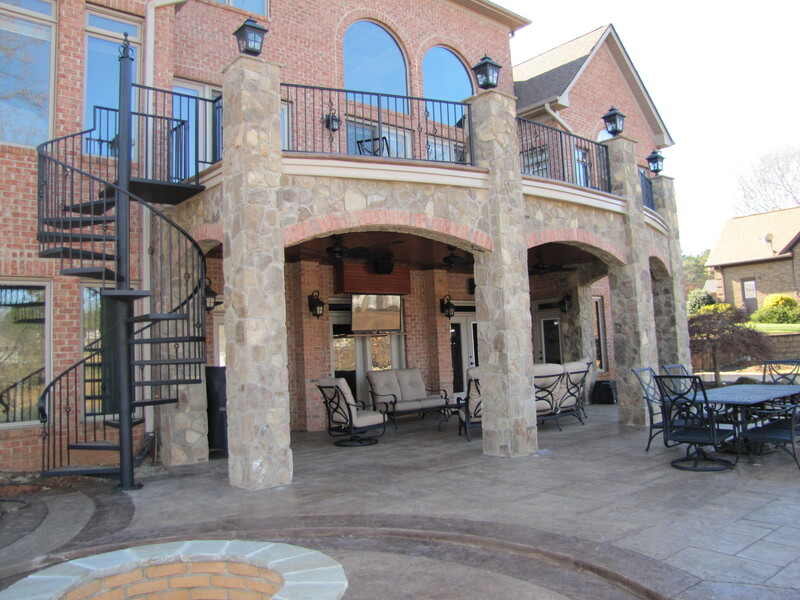 Interested in creating or improving your outdoor living? Contact Henderson Building Group at 704-201-1429.